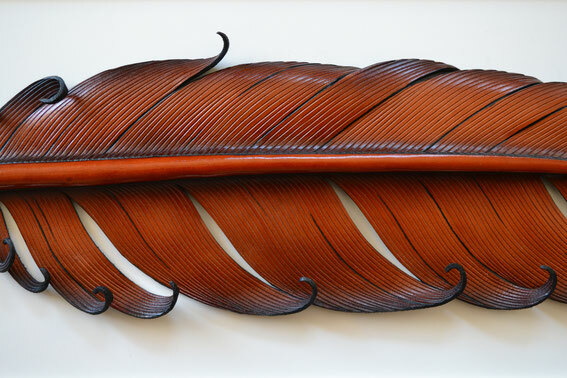 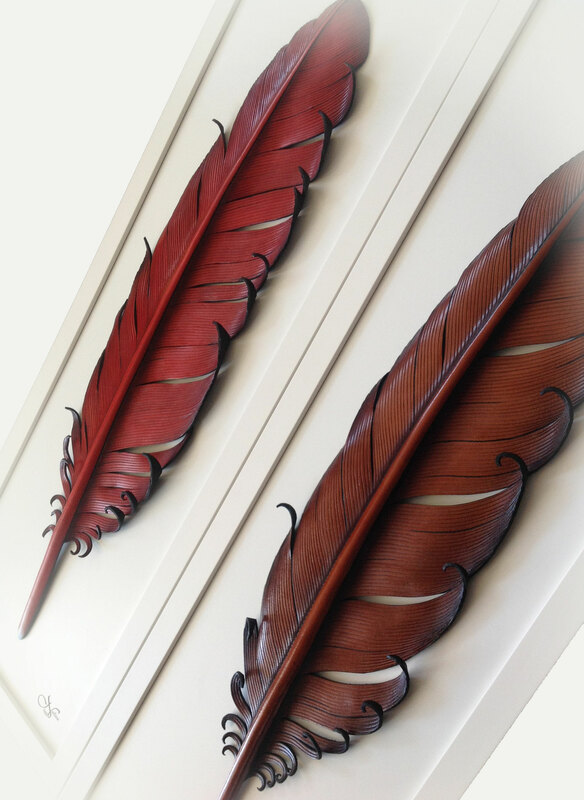 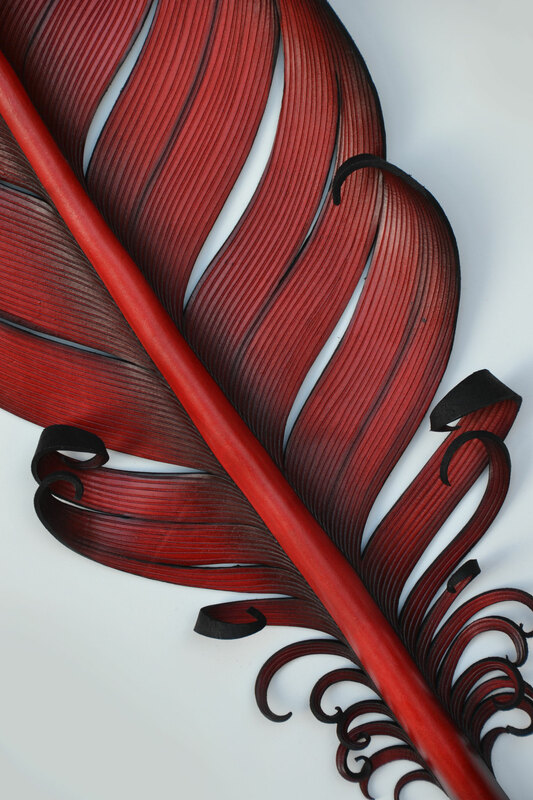 Leather Feather Art Works, made of Vegetable tanned leather. 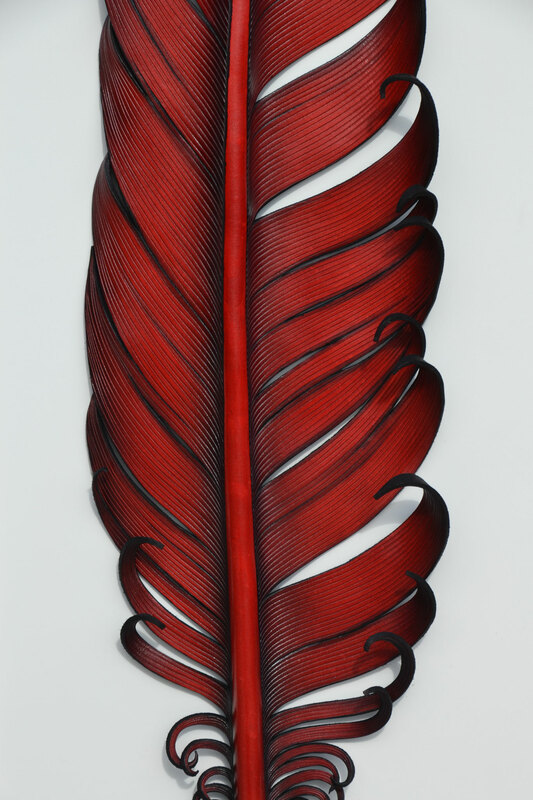 Hand carved and dyed. 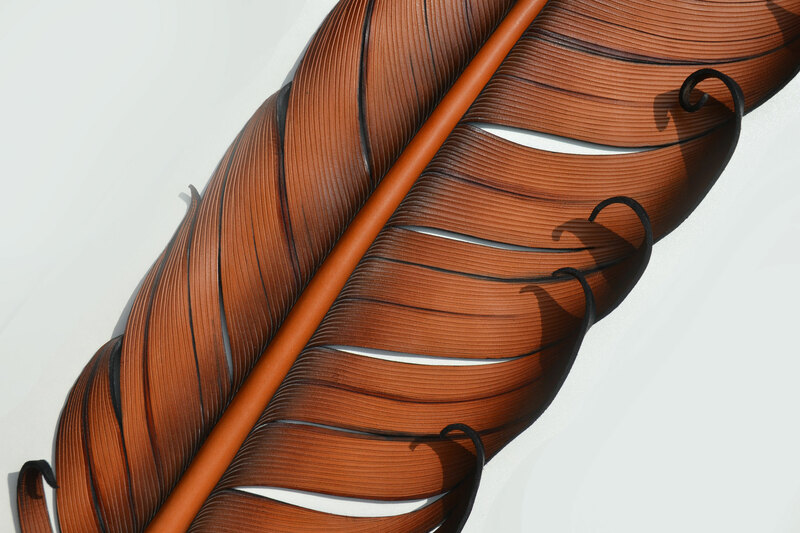 Feathers range in size between 30cm-180cm long.